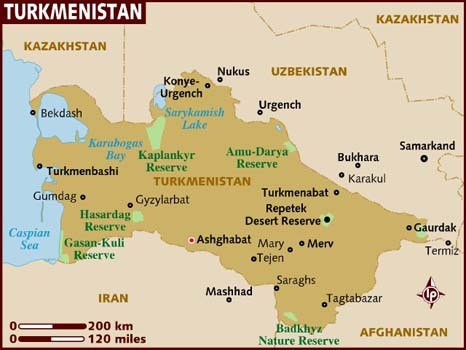 I returned from Turkmenistan on Monday night – the trip was amazing! Will have a slideshow ready to post soon. 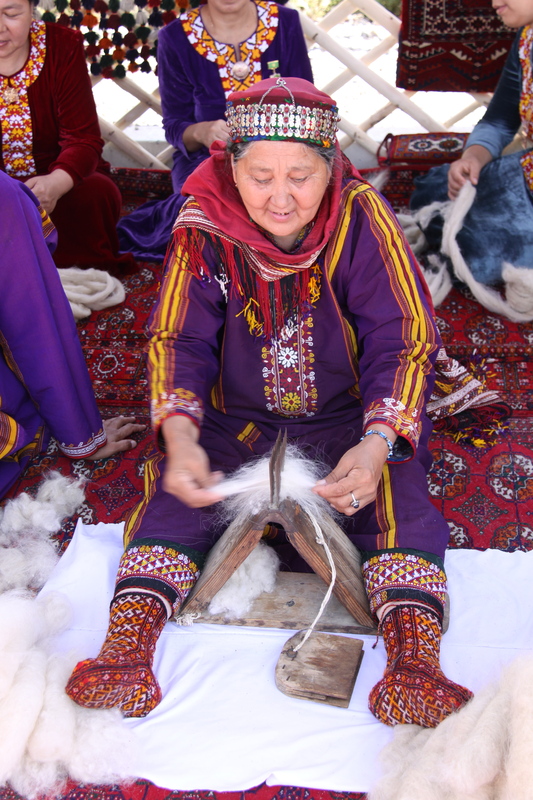 The photo is from the Carpet Expo – it is of a Turkmen woman combing the fleece of the Saryja sheep. The wool of this fat-tailed sheep is used in the beautiful Turkmen carpets.